All I did was post (1 post) an offer to help people out, by giving them some relief from over priced rentals with a new business concept and model and you delete my post and slap me with a SPAM warning! Is this for real? LOL- how about I end my paid monthly subscription and 10 + years with SL.... need to chill with the forum moderation. So tell me why can land sales and land rentals be discussed, heck they even have their own dedicated boards but I can't discuss a novel approach to a retail opportunity that would help people in these tough economic times in SL on a board specifically for that purpose "Discussion area for inworld and Marketplace merchants to exchange business and marketing ideas." Re: What is the (CURRENT) Best Combat Meter? New Sci-Fi Game! Earn Lindens for FREE! Drive Traffic! Your SLURL Map link on your web site stats: We are unable to locate the region "New Vegas" This region may no longer exist, but please double check your spelling and coordinates to make sure there aren’t any errors and try again. And a search for Cosmos Master takes you to a Furry Sandbox -LOL! 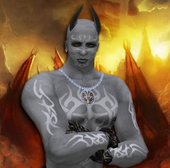 There is also "Eternal Conflict: Angels and Demons" which has been designed by the two man Progeny Diabolics and is an excellent RP combat system that also feeds off of Second Life residents http://eternal-conflict.com/ and puts Progeny to shame due to Progeny's lack of developement and ensuing stagnation (Progeny is basically a vampire version of THE SIMS). There are many skills that can be developed and items to craft (major grind). The HUD is free but everything else is hidiously expensive and frankly a blatent rip off. And don't rub the egos of the devs the wrong way or you will be banned at the drop of a pin... Dont know how advanced your systems development is but from what I have read and seen in your pics, you are light years behind. "Allow me to rephase the question: " What is the CURRENT Best Combat Meter? I recently bought into the DCS system based on claims on their web site of "4,000 configured Regions and over 175,000 unique players" However, their stats dramatically fall short of reality... So I am wondering what the Best Combat Meter is with the most active community as I want to incorporate combat on my Sim. Thanks in advance for your replies. Cheers! New MP Picture and Link to not Christmas items! !